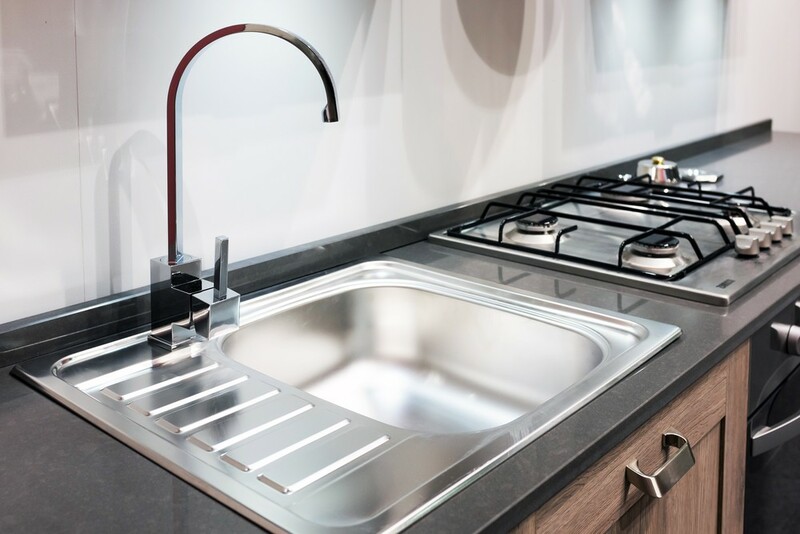 Although you might not give much thought to it when you initially buy your home, sinks are an important component of any kitchen or bathroom, and can have a dramatic impact of how nice your house looks. Thankfully, if you take the time to talk to us you can be sure that we’ll only recommend the the highest grade sinks available. At Mountain States Kitchen & Bath we know that you want the best sink for your home, and we’re happy to work with you to find a sink that will deliver the quality you need, in addition to helping you find something that you’ll like looking at. 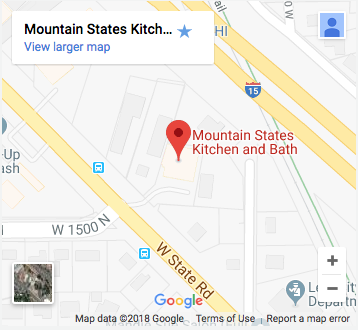 At Mountain States Kitchen & Bath we know that you want the best sink for your home, and we’re happy to work with you to find a sink that will deliver the quality you need, in addition to helping you find something that you’ll like looking at. Because, let’s face it, you’ll end up seeing your sink pretty often, and you don’t want a daily reminder of how ugly it is if you choose the wrong one. 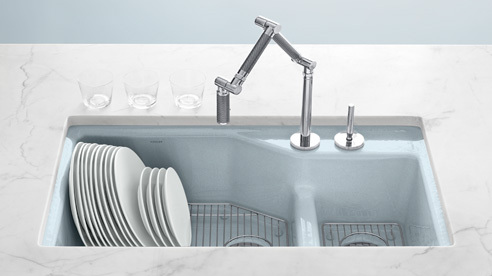 If cost is your main motivator for what you look for in your kitchen sink, we’re happy to say that our most popular sink happens to be our most cost effective sink one as well. The 50/50 stainless under-mount is nine inches deep and comes standard with sturdy eighteen gauge steel and full sound absorption pads, meaning there’s a good chance it could be exactly what you’re looking for. Needless to say, with steel that thick, this sink is absolutely built to last. We also have sixteen gauge stainless available for those that wish. An under-mounted sink eliminates the annoying ledge on the sink that requires constant caulking and cleaning. This way you can wipe your countertops off directly into the sink uninhibited. If you desire something different we are more than happy to provide anything else you require. Whether you are looking for a special pedestal sink or the indestructible quartz sink we are here in Lehi, Utah to help. Other materials available would include porcelain, copper, stone, glass, and acrylic sinks. Call us for more information.